Do you need a Mechanic in Hallandale? Hallandale is one of the most captivating places in Florida and a great place to live in. Living the day to day can be a grind since the majority of people who live in Hallandale will be commuting, but do they know how important it is to get regular car service? Hallandale Auto Repair is a great service provided by Tropical Performance! Finding a Dania Beach mechanic is not so fun. With so many chop shops set up, it’s hard to find an honest mechanic. But with our services, we have been a family run business for several years and have helped countless families and businesses get their cars out of the shop and onto the ROAD! Transmission repair is what we are best known for, we have worked tirelessly to provide some of the best and fast transmission repair in Hallandale, call us today if you are having car problems. 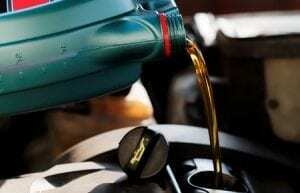 Every car will need an oil change at some point, stay ahead of the curve by getting your oil changed with us. We will constantly work to put your work ahead of the curve. If you need a mechanic in general for any problem your car may be having, give us a call, and we will have a look at your engine! We service the entire tri-county area coming from Broward, Miami-Dade, and Palm Beach County, be sure to call us today! Tropical Performance is a full-service automotive repair and maintenance shop located in Dania Beach, FL. We have been serving customers in the Broward County area for over 14 years, and our ASE certified technicians have over 26 years of experience. If you have any questions about our services, feel free to call us today!